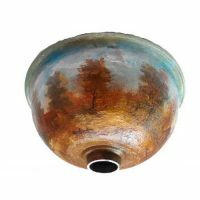 Decorating a bathroom is a challenging experience. 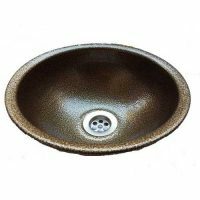 Interior designers will find variety of metal bathroom sinks styles to fit their design needs for modern or classic bathroom settings. 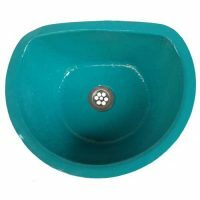 The sinks can be wall or floor mounted, over or under mounted installation. 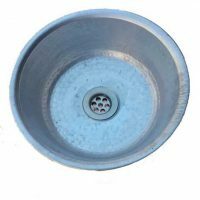 The sink main shape is the round design. 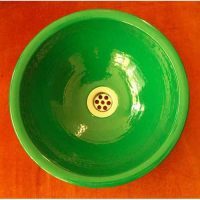 Other shapes are rectangle, square, corner, half round, oval , hexagonal pentagon, octagonal or triangle. 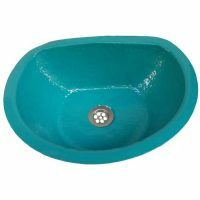 A1 Egypt specialize in top quality metal bathroom sinks and washbasins. 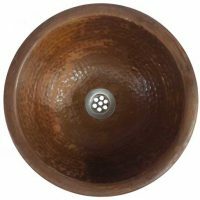 Our metal bowls are handmade using traditional manufacturing process from beginning to end by cutting the metal sheet to the required size. 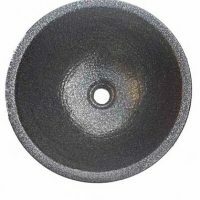 The shape is formed by pounding the metal using a suitable hammer and small hand tools. 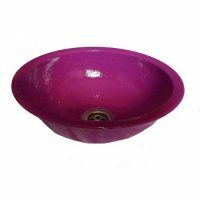 Our metal bathroom sinks are hand made using one piece to prevent any leaks or seams. 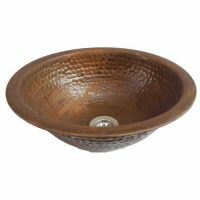 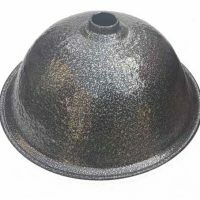 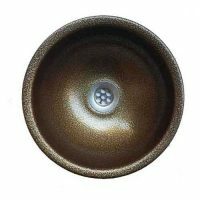 A metal smith hand forge the metal piece and turn it to artistic textured surface foot massage bowl. 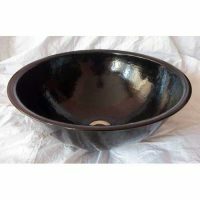 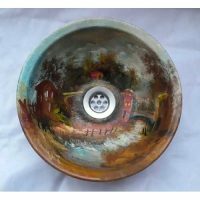 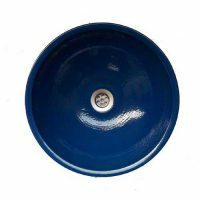 The bowl is powder coated and fired resulting in a perfectly smooth surface that is stain, chip and scratch-resistant using electrostatic painting in an oven. 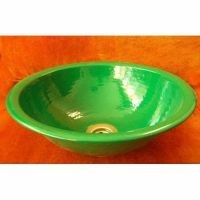 Our sinks are available in many colors to match bathroom accessories. 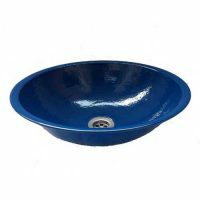 A1 Egypt provide the best quality metal sinks at the lowest prices with %100 satisfaction guarantees. 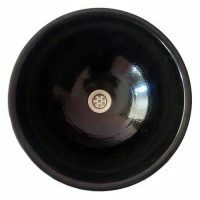 Customization is available. 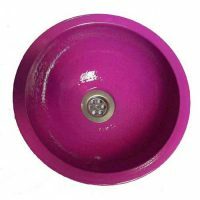 Our artisans will hand make any metal sink design of your own.